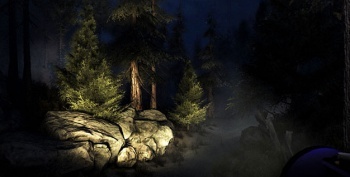 Join The Escapist Live for Slender: The Arrival! Turn the lights off and enjoy a scare with the Escapist crew! It's halfway through the work week and we need to unwind, so we're inviting you to join us today for a live stream! Today, starting at 4pm EST (9pm GMT), our own Paul Goodman will be taking on Slender: The Arrival. If this sounds a bit familiar, that's probably because Paul also took on the beta of The Arrival last month, and many jumps, screams, and laughs were had by all. Today, Paul will be attempting to beat the full game in one sitting over the course of a couple of hours, and given that the game is rather brief, that's probably a rather appropriate goal. You can watch the stream right here on this post - where we'll embed the stream as soon as we go live - or you can hop over to The Escapist's official Twitch.tv page. If you want to chat with other viewers, you'll need to head over to Twitch.